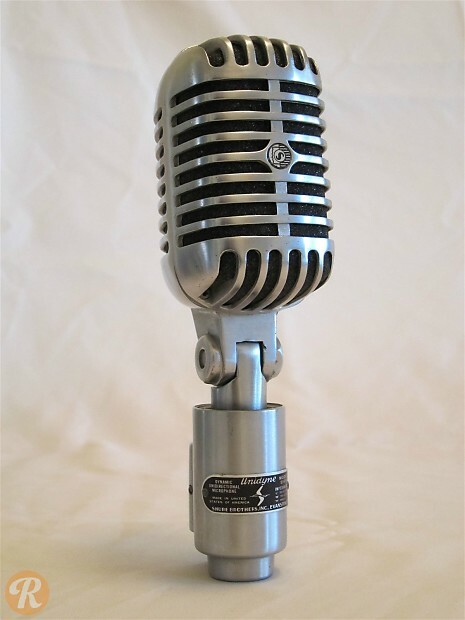 Shure's 55 series are easily some of the most iconic microphones every made. The bright metal casing of thes mics are closely associated with Elvis Presley, so much so that one can be seen in the image for Presley's commemorative US Postage stamp. The 556 was the Pro version of the 55, and was designed for mostly broadcast applications. Those with the S in the model name indicate that they use a smaller casing.